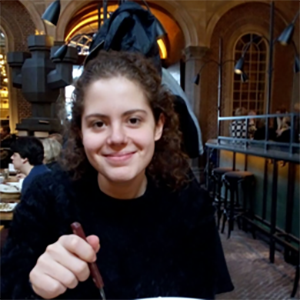 Promotion: How to get involved at Dutch WUDC! 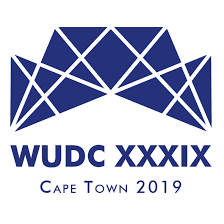 For the first time in the history of the World Universities Debating Championships (WUDC), WUDC will be hosted in the Netherlands. Dutch WUDC will take place from the 27th of December 2016 to the 4th of January 2017 in The Hague. It promises to be the biggest debating event in Dutch history, with 8 days of thrilling debates and fantastic socials. WUDC Malaysia 2015: Full results! 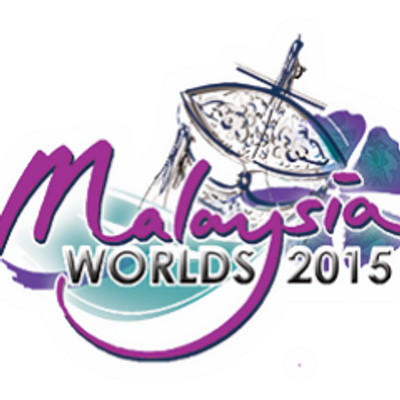 WUDC Malaysia 2015 has come to an end and all results have been released. We will provide you with all results and a link to the full Tab. * This team is participating as an ESL team, but due to their high ranking on the tab they break in the Open category. * These teams are participating as EFL teams, but due to their high ranking on the tab they break ESL. 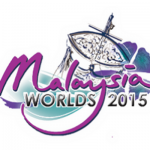 WUDC Malaysia 2015: The Finals! Today it is the last day for debates during WUDC Malaysia 2015. After the Open Semi Final (results and information in the previous post) all Grand Finals will bring WUDC Malaysia 2015 to an end. Judges: Jonathan Leader Maynard (chair), Nick Cross, Adam Hawksbee, Daniel Kirkby, Gavin Illsley, Yi-An Shih, Monica Ferris, Engin Arikan, Solange Handley. Motion: THBT progressive politicians in conservative societies should pander to bigots, racists, hardline conservatives and others with regressive views in attempting to win elections. Judges: Madeline Schultz (chair), Daniel Swain, Manos Moschopoulos, Fred Cowell, Sarah Balahkrishnan, Lucian Tan, Seb Templeton, Tomas Beerthuis, Harish Natarajan. Motion: THBT liberal democracies that overthrow the governments of other states should impose power sharing, even when this severly overrides or delays democratic repression. 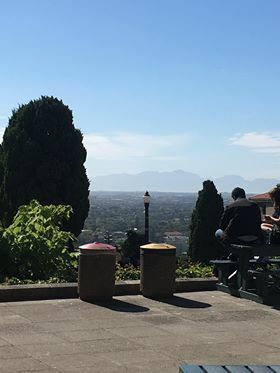 Judges: Shafiq Bazari (chair), Dominic Guinane, Arina Najwa, Danique van Koppenhagen, Timothy Gerard Andrew, Karin Merckens, Brett Frazer, Simon Tunnicliffe, Amelia McLeod. Motion: THBT humanitarian organisations should, and should be allowed to, give funding, resources or services to illegal armed groups when this is made a condition for access to vulnerable civilians. Yesterday was a day off, but today the outrounds have officially been started at Kuala Lumpur. We will provide you with all motions and other information about the outrounds. Judges: From the Dutch people being present, Tomas Beerthuis (chair), Anne Valkering (chair), Andrea Bos and Bionda Merckens will be judging this round. Motion: THW allow corporations to use hackers to retaliate against cyberattacks where the state seems unwilling or unable to do so. Breaking to the Open Octofinal are: Melbourne C, McGill A, Oxford C, Queens A, Belgrade A, Bates A, TCD Phil A, Brown A, Auckland B., Stanford A, TCD-Hist B, Monash A, Glasgow A, Sydney C, Oxford A, Cape Town A. Judges: Senna Maatoug (chair), Karin Merckens, Arielle Dundas. Motion: THBT disadvantaged groups should emphasize their conformity with, rather than distinctiveness from, dominant culture; as a strategy for improving their social position. Breaking to the Open Quarter Finals are: Oxford A, Durham A, BPP A, TCD Phil A, Harvard A, Belgrade A, Stanford A, Vic Wellington A, Monash A, TCD Hist B, Sydney B, Cambridge A, Sydney A, Hart House A. Motion: THBT all states should create special economic zones in cities, where all economic activities (except the purchase of goods and services) are carried out by women. Breaking to the Open Grand Final are: Oxford A, BPP A, Sydney A, Harvard A. Judges: No Dutch judges in here! Motion: THBT the African-American community should oppose ‘broken windows policies’. Infoslide: The broken windowws theory describes the concept that substantial amounts of petty crime create comditions that increase major crime. Many jurisdicstions, including, most famously, New York State, have introduces policing policies in response; and respond to areas of high crime with substantial increases of police presence, arrest and prosecution rates for petty crime and harsher punishments. Breaking to the ESL Semifinals are: Gadjah Mada A, UM B, CUHK A, BRAC A, UM A, STockholm A, Dhaka A, Indonesia A. Judges: No Dutch judges in this round! Motion: THW severely limit companies’ ability to replace workers with technology. Motion: THW ban its citizens from visiting illiberal states whose economies depend on tourism. Breaking to the EFL Grand Final are: Adam Mickiewicz A, Binus international A, Seoul NUDA A, MIPT A. The break has been announced. Here are the full results of WUDC Malaysia 2015. Scroll down for matchups in the first outrounds. Seventwenty wants to congratulate all teams and Public Speakers on breaking and wishes everyone a happy 2015! Today is the last day of the preliminary rounds of Malaysia WUDC 2015. These rounds are all closed rounds, meaning that no results are being released before the break announcements. Round 7: THW ban the research and production of moral enhancement drugs. Infoslide: Over the last decade, scientists have identified a range of chemicals that exist naturally in the brain and shape individuals’ moral behaviour. Significants amounts of research is now being carried out to create ‘moral enhancements drugs’, which would alter the levels of such chemicals, such drugs have been shown to increase individuals’ tendencies to display empathy and care for others, to behave in altruistic ways, and to resist pressures to act in ways that violate their personal ethical beliefs. Round 8: THBT the USA and the EU should seek to promote peace by heavily subsidising Israeli businesses who invest in the Palestinian territories. Round 9: TH, as a medical professional employed by the US military or security services, would, and would encourage others, to refuse orders to provide medical treatment to individuals undergoing ‘enhanced interrogation techniques’. Infoslide: Enhancement Interrogation Techniques: is a term used by the US government to refer to methods used to extract information from detainees in the war on terror. Examples include, but are not limited to stress positions, hooding, sleep deprivation, deprivation of food and drink and waterboarding. Since these rounds are closed, the results will be released after the break announcements. Break announcements will take place tonight.